One of the highlights of the summer sporting and social calendars this meeting has become affectionately known as ‘Glorious Goodwood’ due the almost guaranteed good weather that the South Downs brings. The meeting is now known as the Qatar Goodwood Festival. Make a gracious entrance into Glorious Goodwood, the place to see and be seen, in one of Atlas’ beautiful aircraft such as this Agusta 109e (pictured). 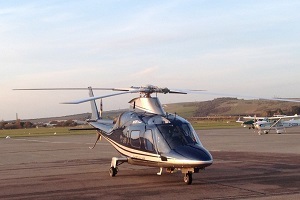 Fitted out in luxurious leather, with room enough for you and up to five guests, this stylish helicopter will take you directly to the racecourse. During your flight you can sip champagne and eat strawberries as you travel in luxury, comfort and style, helping you arrive in a sparkling mood and ready to enjoy a great day out. You can leave from a departure point of your choice, even from your garden if it’s big enough. For a free quote, please fill in the form below. Join horse racing enthusiasts who also love the social aspect of Glorious Goodwood in the picturesque South Downs National Park. Be smarter, than those caught up in the huge traffic jams, which surround this event. Glorious Goodwood is one of the highlights of the summer sporting and social calendar it is more than just a horse racing event. It attracts top international horse racing stars but also includes music and dancing as well as great fashion and top quality food. Witness the close up spectacle of horses with their jockeys racing, as the audience gasps with anticipation and the adrenalin pumps around the venue, making this an event worth seeing at first hand. The electric excitement, enhanced with betting and the social enjoyment around the course, provides a great day out to share with others. 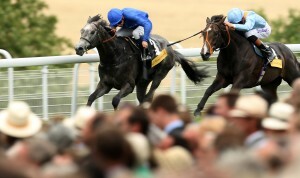 Find out more about Glorious Goodwood here.